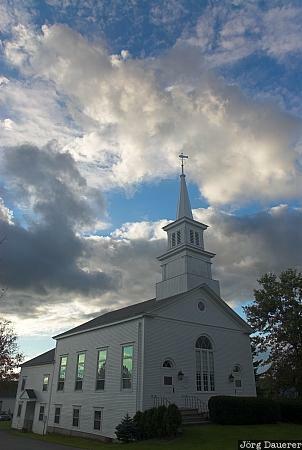 A dramatic sky above the Church of Craftsbury Common in northern Vermont, United States. This photo was taken in the evening of a cloudy day in September of 2006. This photo was taken with a digital camera.